Now this is really cool. A shopping mall in Cleveland, Ohio (United States) is making use of space underneath skylights to set up an urban garden. The project is called Gardens Under Glass. This farm is growing vegetables like lettuce, cucumbers, and herbs and then selling them back to the public at affordable prices. 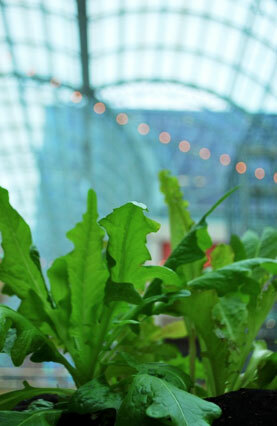 Urban areas don’t usually have great access to farm-fresh produce, so Gardens Under Glass is a welcome change. The organizers are hoping that Gardens Under Glass can serve as a model for other parts of Cleveland and for other urban areas in the United States. It sure beats the heck out of a food court.